Do you want to experience Social Media Marketing World 2019, but your budget is limited? Consider the Community Ticket to Social Media Marketing World 2019. This is our most economical option. For a fraction of the cost of a regular ticket, you’ll get full access to our massive Networking Plaza, three of our tracks (live video, video creation, and blogging), the live stage, and all four main keynote presentations. It’s ideal for marketers who are on a budget, who are interested in content, or who want to focus on networking. Why Consider a Community Ticket? Want a place to sit and talk? Thinking about doing interviews? Our Networking Plaza is a large, centrally-located space where you can do some serious networking—on your schedule. We provide opportunities for: (1) brands and businesses to connect with influencers, (2) marketers to connect with fellow marketers, and (3) influencers to connect with each other. Table Talks: We provide a wide array of “topic-based” tables for you to meet and talk about topics of interest—around-the-clock. During lunch, many tables are frequented by speakers and other experts. Networking Embassy: We have dedicated staff to help you make the connections you want to make! “The chance to meet fellow social media folks was fantastic,” said Rebecca Kowalewicz. 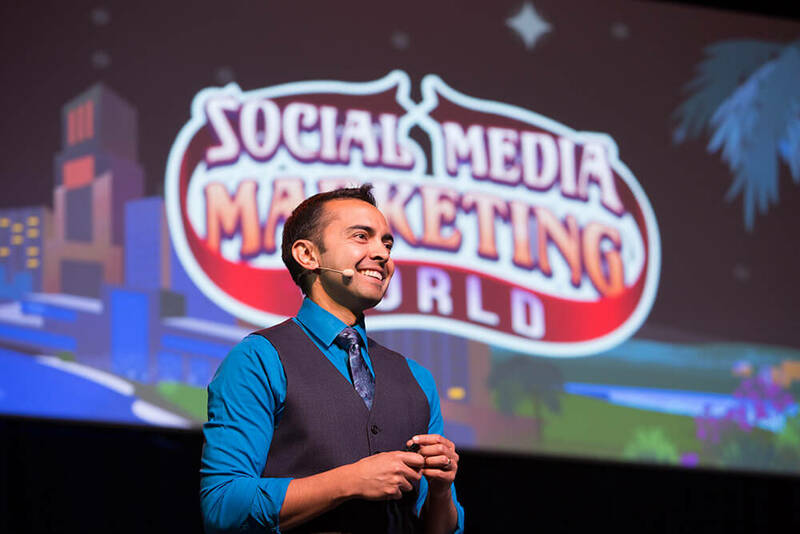 With the Community Ticket you get to taste test some of the great content at Social Media Marketing World (there are 14 other tracks available with the Marketer Ticket or higher). You’ll enjoy continuous learning opportunities with ongoing presentations focused on live video, video creation, and blogging. 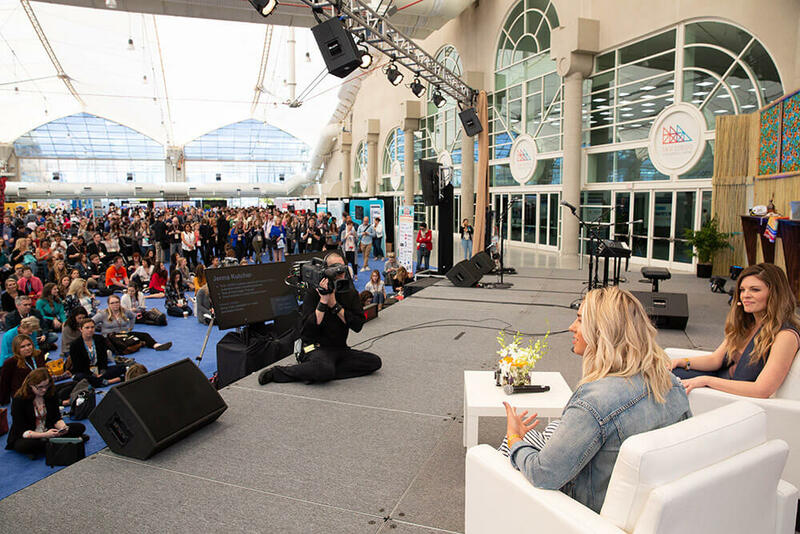 You’ll also get access to our live stage (hosted by Joel Comm and Sunny Lenarduzzi), the place where we interview the top names in social media marketing and broadcast it live to the world. Each morning and afternoon we bring all of the event attendees together for spectacular entertainment and keynote presentations. You’ll get access to all four of our live keynote sessions. 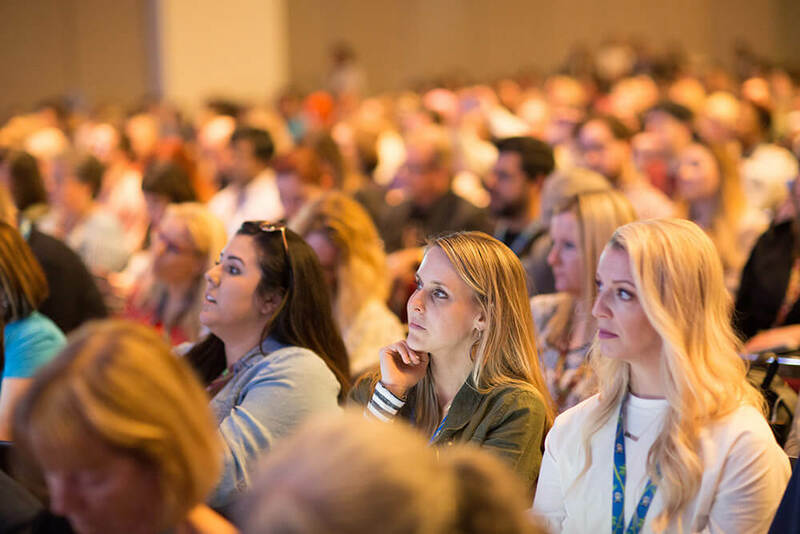 WHO: This Community Ticket is ideal for any marketer, business owner, or influencer who wants to make valuable in-person connections and experience a limited set of sessions. 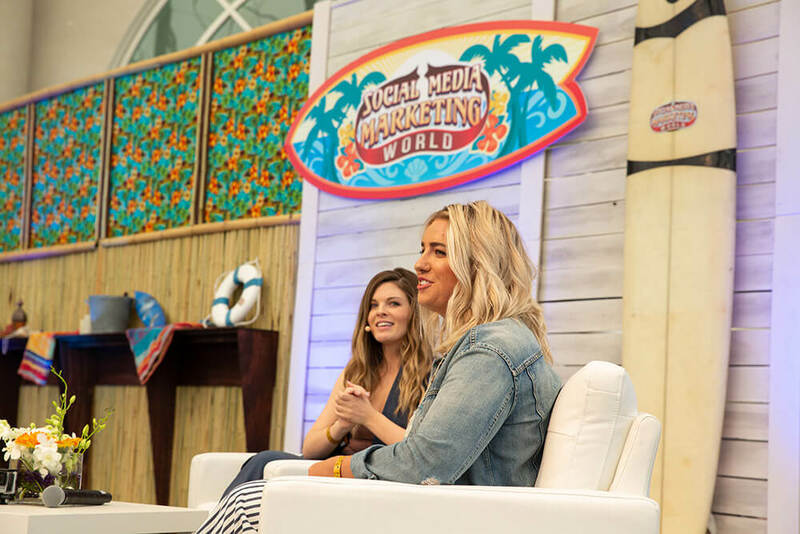 WHAT: The Social Media Marketing World Community Ticket provides in-person access to our massive Networking Plaza, three tracks (live video, video creation, and blogging), our live stage, and four keynote sessions. WHERE: Inside the San Diego Convention Center. WHEN: Thursday, March 21 and Friday, March 22, 2019. 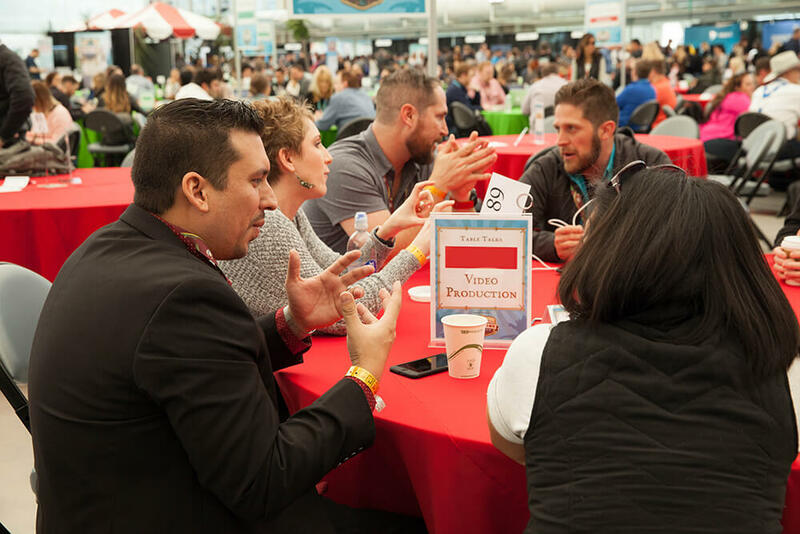 WHY: You’ll be able to make the type of connections that simply are not possible online, while also experiencing valuable sessions at a fraction of the cost of other attendees. HOW: When you purchase your Community Ticket, we’ll email you instructions for pre-event activities and on-location experiences. Event starts March 20, 2019. If you make just one strategic connection that furthers your success, the investment in your ticket will have paid for itself many times over. Refunds/Transfers: Please be aware of the following cancellation policy: If you cancel before October 31, 2018, you will receive a full refund. If you cancel between November 1, 2018 and December 15, 2018, you will be refunded 50% of your registration fee. If you cancel after December 15, 2018, you are not eligible for a refund but may send someone in your place. You may resell your ticket. To request a refund or fully grant your access to the event to another person, email world@socialmediaexaminer.com. Only requests made by the original purchaser/registrant will be honored. How do I convince my boss to send me? Great question! Simply use the letter we created for you here. Does the Community Ticket include recordings of content? This ticket includes access to live content only. You have the option to purchase a Virtual Ticket, which provides full online access to all recorded sessions from the physical conference. Will I be able to access the evening networking parties? To keep the costs of this ticket exceptionally low, you won’t be provided access to our very costly evening networking parties. Only All-Access Tickets gain access to those special events. If I purchase a Community Ticket, can I later upgrade? Indirectly yes. If you purchase a Marketer Ticket or an All-Access Ticket and you had previously purchased a Community Ticket, we will issue you a refund on your Community Ticket. Option 1: Click here for the most common questions people ask and our answers. Option 2: You can also email world@socialmediaexaminer.com.